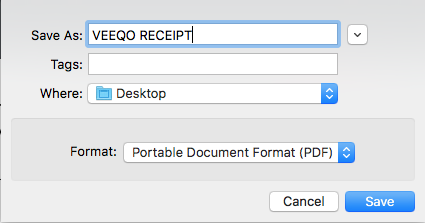 When you have generated an invoice for an order, you can save the invoice in a PDF format just incase you do not want to print the invoice straight away. 1. 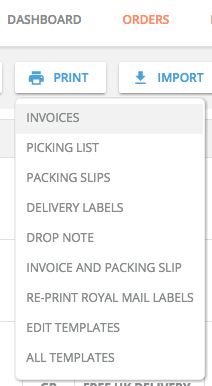 From the orders page you can select the orders you wish to print your invoice for by ticking the box on the far left hand side. 2. 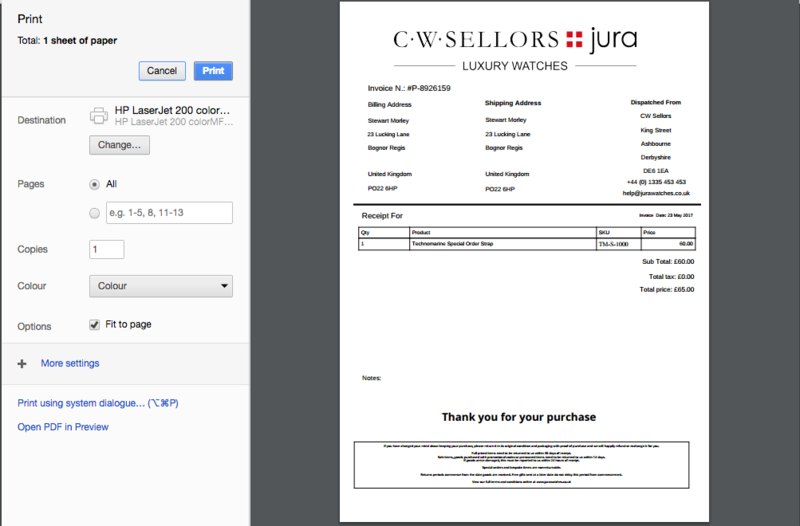 Once you have selected the order, click the Print button and select Invoices from the drop down menu. 3. The invoice(s) will then open up into a new tab. At first, it will present a print pop-up window. You will need to press Cancel on the left hand side and then it will close the pop-up window. 4. To save the invoice, right-click on the invoice and it will bring up a menu. 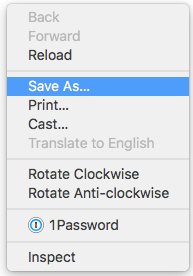 You need to select Save As from the menu. 5. It will then ask you to name the file, where to store the file and also the format you wish to save the file as.